Contouring is not something I do everyday as I already take an age to do my makeup but if I have an event or if I'm feeling down and I want to do something more dramatic to make myself feel a bit better it's a step I love adding to my makeup routine. 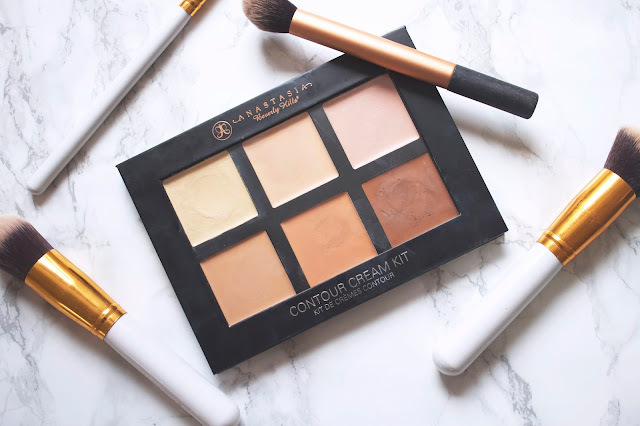 Having quite dry skin means I prefer to use a cream contour kit, I currently use the Anastasia Beverley Hills one in the shade Light. I start by applying my foundation and concealer as I usually would. I then apply the highlight in the areas of my face I would like to accentuate and "bring forward" like the centre of the forehead, the centre of the nose, (to elongate it) in a triangle under my eyes, on my cupids bow, on the centre of my chin and under neath my contour just to make it look even more dramatic. I then apply my contour, on my temples and the top of my forehead to make it appear smaller, down the sides of my nose (to make it look thinner) and in the hollows of my cheeks to accentuate my cheekbones. Obviously you can adjust this to suit your face shape and your features as if you already have a thin nose already, you may not want to contour your nose. So just use the contour to make sections of your face appear smaller and use the highlight to bring sections forward and draw attention to those areas. I have the worlds least symmetrical face so I do adjust in order to suit my face and to *attempt* to make it look slightly more in proportion! I like to use flat eyeshadow style brushes to apply the products and then more dense buffing brushes to work the products into my skin. I avoid doing too much "buffing" and instead start by pressing the products into my skin, you don't want to use large circular motions and mix the contour and highlight together. Using a slightly damp beauty blender sponge would also work really well by just pressing the product into the skin. I then powder as I would usually and if I would like a more dramatic contour, I add my Kevin Aucoin Sculpting Powder. This is obviously a more subtle contour, something you could wear in the day as it's not a Kim Kardashian style contour! What do you think of contouring? 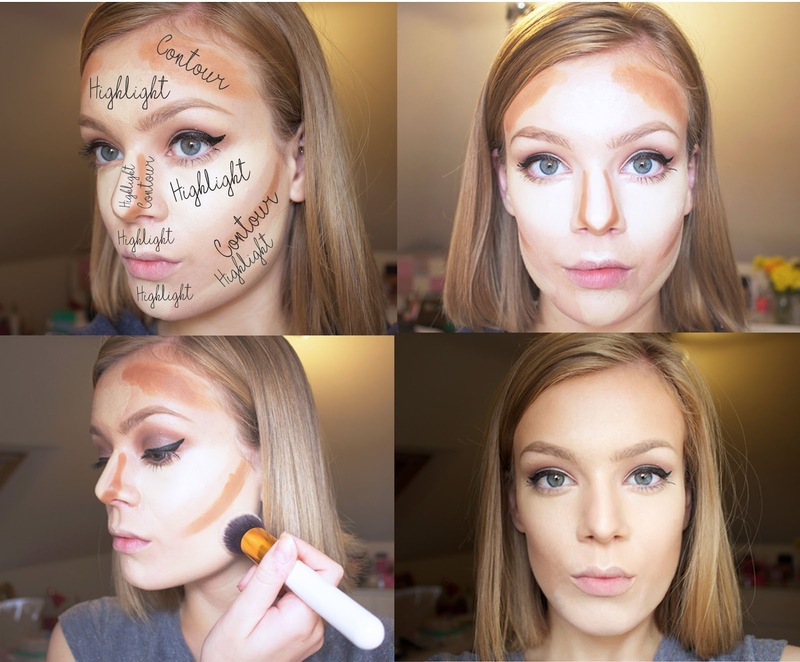 What are your favourite contour products? I love how it looks on you <3 I really need to try the Anastasia Kit!